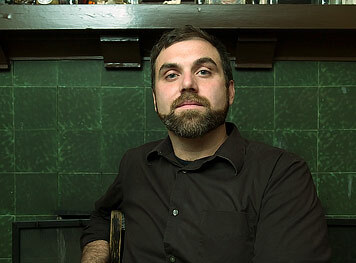 Michael Cross is the author of In Felt Treeling (Chax, 2008) and Haecceities (Cuneiform Press, 2010) and editor of Compline and On: Contemporary Practice (w/ Thom Donovan & Kyle Schlesinger). Other projects include Involuntary Vision: after Akira Kurosawa's Dreams (Avenue B, 2003), Building is a process / Light is an element: Essays and Excursions for Myung Mi Kim (Queue Books, 2008), and a forthcoming edition of the George Oppen Memorial Lectures at San Francisco State. He lives in Oakland where he studies 21st century poetry.